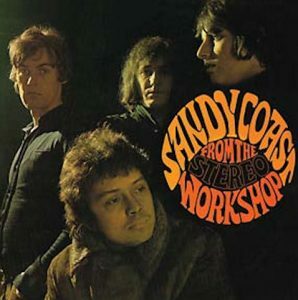 THE SANDY COAST: From The Workshop, 1968, side A. THE MOTIONS: Electric Baby, 1969, side A. THE SANDY COAST: From The Workshop, 1968, side B.
ZZ & DE MASKERS: ZZ & De Maskers: 1965, choice tracks. THE ROB HOEKE R&B GROUP: Save Our Souls (1967) + Celsius 232,8 (1968): choice tracks. WORD & FREE SPEECH Pete Seeger, The Fool, Peter Coyote, Leon Rosselson. Monday, Wednesday CET Brussels Mon. Wed.
Longplaytime repeated show: Mod Sounds 14, 18, 22 hrs 14, 18 hrs. “Sandy Coast started as a skiffle Group in Voorburg, Holland, 1961. Notwithstanding the many merits of the other group members, Sandy Coast was the brainchild of composer, singer and multi-instrumentalist Hans Vermeulen (1947-2017). As a pop group, they excelled in nice, harmonic, classic songs, such as We’ll Meet Again (no. 30, 1966), Sorry She’s Mine (no. 40), A Girl Like You ( no. 28), And Her Name Is…Amy (no. 22), I See Your Face Again (no. 12, 1968) and True Love, That’s A Wonder (no. 3, 1971). Amazingly, they never broke the Top Ten in the sixties. At the end of that decade, the group turned psychedelic and experimental, delivering ‘From The Workshop’ in 1968. Such was their professionalism and status in the music industry, that Larry Page of Page One records (The Troggs, etc.) came to see them in Holland and signed them on the spot. Chartwise, they fared better in the early seventies, but Vermeulen disbanded Sandy Coast when he considered he had given everything he had to give”. © Eddy Bonte for Radio 68.Radio 68 plays the entire ‘From The Wokshop’ album. DISCLAIMER: Radio 68 promotes certain types of music and word, see our Policy in ‘About Us’. Illustrations and Quotations are solely used to enhance this promotion and are thus used for information and educational purposes only. Illustrations and Quotations are All Rights Reserved. Radio 68 may not own the rights to the illustrations on www.radio68.be. Sources are clearly mentioned. No use is made of sources which explicitly prohibit use by third parties, except when prior permission has been granted. Radio 68 pays artists copyrights to Sabam Belgium. Radio 68 is a free, self-contained, non-commercial and not-for-profit project that receives no income from ads, sponsoring, subsidies or other external sources whatsoever.